The master of the nearly true is back with "The Blue Guide to Indiana, " an ersatz travel book for the Hoosier State. Michael Martone, whose trademark is the blurring of the lines between fact and fiction, has created an Indiana that almost is, a landscape marked by Lover's Lane franchises and pharmaceutical drug theme parks. Let Martone guide you through every inch of the amazing state that is home to the Hoosier Infidelity Resort Area, the National Monument for Those Killed by Tornadoes in Trailer Parks and Mobile Home Courts, and the Annual Eyeless Fish Fry. All your questions will be answered, including many you never thought to ask (like: "What's a good recipe for Pork Cake?"). 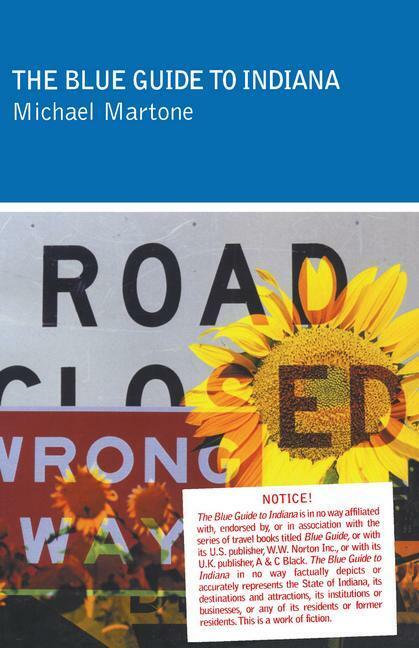 MICHAEL MARTONE currently teaches in the English department at University of Alabama. No stranger to the Midwest, he was born in Fort Wayne, Indiana, attended Butler and Indiana Universities and taught at Iowa State University. He is the author of eight books including The Flatness and Other Landscapes (University of Georgia Press, 2000), Pensees: The Thoughts of Dan Quayle (Broadripple, 1992), Seeing Eye (Zoland, 1994) and Alive and Dead in Indiana (Knopf, 1984). Martone has won the Bruno Arcudi Literature Prize, the AWP Book Award and the Pushcart Prize.